Not sure what to have for dinner? You can sample a huge variety of delicious cuisines from around the world with Red Hot - there really is something for everyone! We recently visited the Northampton buffet style restaurant and the Mr and I were thrilled with our experience from start to finish. There was ample seating which was well positioned, with plenty of space between tables making it easy to access the food area and bar. It was clean and pleasant with lots of friendly staff on hand to get you seated, help you order your drinks and guide you to the plates if required. The food really was amazing! You can help yourself to what you want and however much of it you would like all for a very reasonable price. Once you have finished you leave your plate on your table which will be removed while you go back up for seconds thirds and fourths. I was surprised how many vegetarian dishes there were and everything was well labelled to help those with allergies or dislikes. The food was topped up regularly, hot and always tasted fresh. The different meats were all incredibly moist and packed with flavour - the seasoning and spices were all incredible. There is such a great variety spread across several areas which helps to reduce queues. Families appeared to be welcome with reduced rates available for those under 10 (they eat half price). 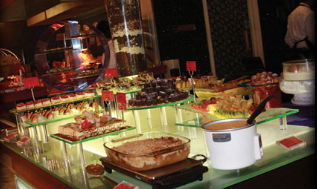 Buffets are great if you have fussy eaters, like variety and if you have family members or friends with different tastes as they keep everyone happy. 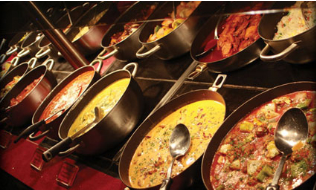 There are over 300 dishes which include Mexican, Italian, USA, British, Chinese, Japanese, Thai, Mongolian and Indian food. There are large salad, sushi and fish sections and some dishes you can ask to have cooked especially for you and as the kitchen areas are open you can see the chefs cooking the meals. For dessert I thoroughly enjoyed a selection of ice creams including blueberry and mango flavours which were delicious. There are several sauces, a chocolate fountain and lots of sweets for toppings too. There are mini mousses and cheesecakes and for the more health conscious there is fresh fruit salad. It was a wonderful dining experience and we are looking to go again very soon with the extended family too, upon our recommendation. The decor is modern yet the atmosphere is relaxed which made it a very enjoyable evening. There is no rush, you can eat what you like and at your own pace which is ideal. 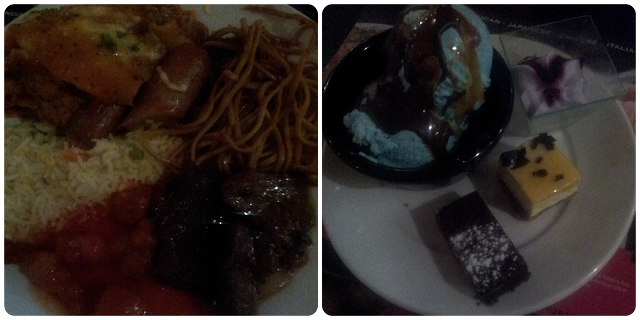 I love buffets just for the amazing choice and I've been to the red hot buffet in Leeds many times. I've got to say that the food is pretty terrible though, everything is so tasteless and not up to much. The only way I can excuse the bad food is the fact that there is so much of it so the quality of the food has to suffer. Nevertheless I do like going as it is a fun family experience but the quality of the food is pretty awful.